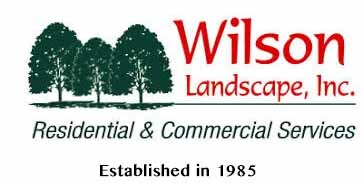 Landscaping Blog | Wilson Landscape, Inc. 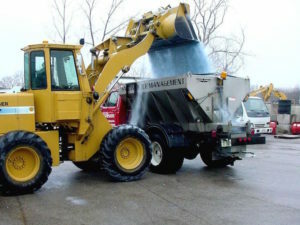 Your company needs effective snow and ice removal if you live in the Chicagoland area. A typical Chicago winter can produce weather that can bring your business or facility to a stand still. Commercial snow removal is essential. Hiring a snow removal professional allows you to focus on running your business not digging out of the snow! The safety of your employees and customers is your first priority. Reducing risk and liability to your business is key. Making sure your parking lots, sidewalks, and other common areas are free of ice and snow increases safety for employees and customers. When ice and snow are cleared promptly, your business maintains curb appeal. And gives you peace of mind that customers can reach your parking lot and building safely. Even with the smallest parking lots attempting to remove snow and ice on your own can be a physically exhausting task. With a snow removal professional on the job, you never have to worry about whether or not your property will be snow and ice free before business hours. You can focus on your business instead of the snow. A snow removal professional has experienced staff and proper equipment to complete your job safely, quickly, and effectively. With the proper equipment and the experience to use that equipment, a snow removal professional can complete your job effectively. Wilson Landscaping, Inc. provides professional snow and ice removal for businesses in the Chicagoland area. Our service contracts are straightforward and we offer discounts when contracting for multiple services. With over 30 years of snow removal experience, our staff knows what it takes to keep your property well maintained and safe. Call today for a free quote before its too late!